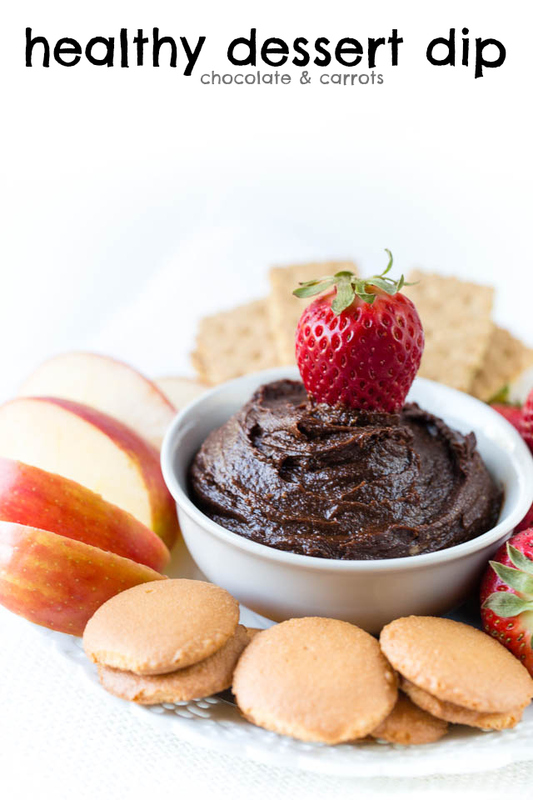 A healthy dessert dip made with 3 ingredients and is guaranteed to rock your taste buds. Remember that date paste I shared with you yesterday? 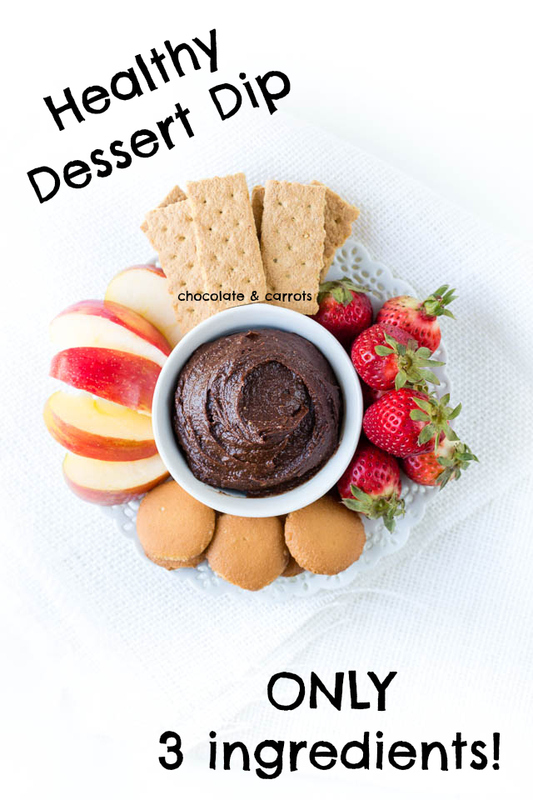 Well, here’s my first creation with it is this really easy and really healthy dessert dip! It basically tastes like nutella and made with healthy, all natural ingredients. Hello, amazing. Don’t tell but, I’ve been sneaking spoonfuls of it between meals. I may as well spread it on my toast in the morning, too. Annnd, it’ll be gone in 24 hours. I also wanted to let you know that next week, I’m going to be taking over the Medjool Date’s Facebook page. I’ve made a super special treat and will be there to talk all things dates! I hope you’ll join me! P.S. There will be prizes! 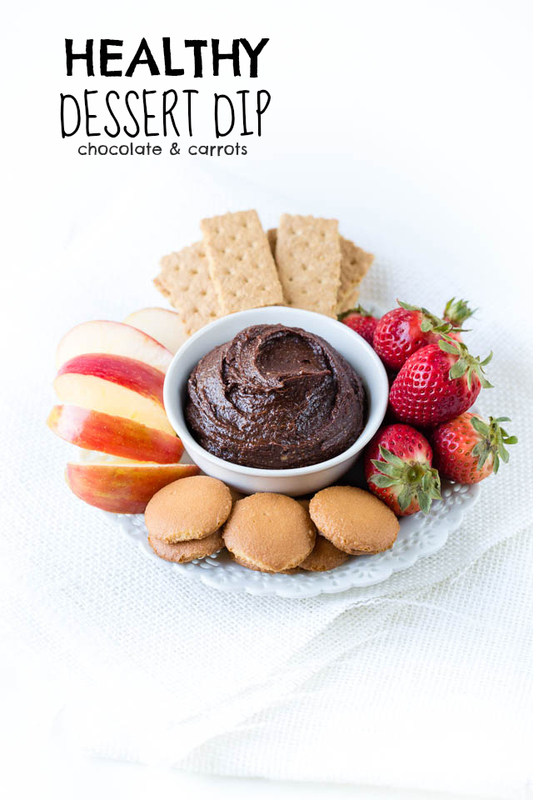 In the meantime, enjoy this quick & healthy little dessert dip! Blend the ingredients together and serve with your favorite fruits and snacks! Note: You can also use other nut butters if you don’t have cashews. Oh my! This dip sounds heavenly 🙂 I bet it tastes delicious, I can’t wait to get into it! Thinking about making this today. Is the cashew butter 1/2 cup? It just says 1/2 cashew butter. I’m guessing it’s cup but just wanted to make sure. Thanks!! Hi Pat, I should have linked to it! Sorry about that. Here’s the recipe for date paste: http://34.224.50.190/2014/03/date-paste Happy Eating! Look yum! Can’t wait to try it. Thanks for sharing. Nowhere are carrots included as an ingredient, only cashew butter, cocoa and dates. do we have to put the cashew butter in it?